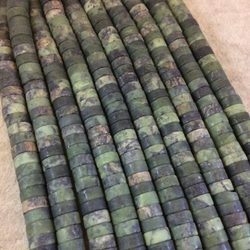 Our range of products include heishi precious beads, lapis heishi precious beads, peridot heishi tyre shape beads, smokey heishi tyre shape plain beads, amethyst heishi tyre shape plain beads and crystal tyre shape beads. 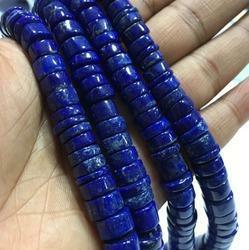 We are offering Heishi Precious Beads to our clients. Products Price: 0.15 $ per carat 'Based on the dollar and may vary as per dollar fluctuation. 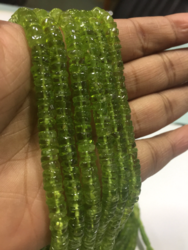 We are offering Peridot Heishi Tyre Shape Beads, Size 5mm, 14 Inches Strand to our clients. Product Price: 14.39 $ per line based on the dollar and may vary as per dollar fluctuation. We are offering Smokey Heishi Tyre Shape Plain Beads, 5-6mm, 14 Inches Strand to our clients. Product Price: 8.00 $ per line based on the dollar and may vary as per dollar fluctuation. We are offering Amethyst Heishi Tyre Shape Plain Beads, 8mm/8mm, 10 Inches Strand to our clients. Product Price: 5.83 $ per line based on the dollar and may vary as per dollar fluctuation. 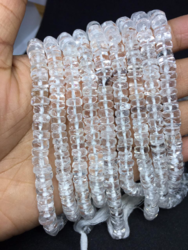 We are offering Crystal Tyre Shape Beads, 6-7mm, 14.5 Inches Strand to our clients. Product Price: 5.83 $ per line based on the dollar and may vary as per dollar fluctuation. 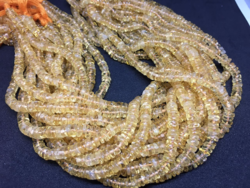 We are offering Citrine Heishi Tyre Shape Beads, 8mm/8mm, 10 Inches Strand to our clients. Product Price: 7.50 $ per line based on the dollar and may vary as per dollar fluctuation. 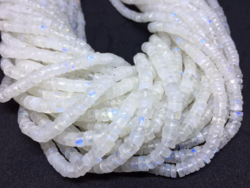 We are offering White Rainbow Tyre Shape Beads, 5-6mm, 15 Inches Strand to our clients. Product Price: 8.00 $ per line based on the dollar and may vary as per dollar fluctuation. 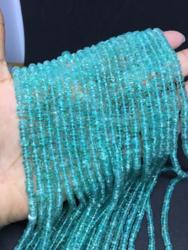 We are offering Green Apatite Tyre Shape Beads, 4-5mm, 13.5 Inches Strand to our clients. Product Price: 5.83 $ per line based on the dollar and may vary as per dollar fluctuation. 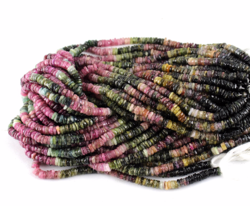 We are offering Multi Tourmaline Heishi Tyre Shape Beads, 4-5mm, 14 Inches Strand to our clients. Product Price: 15.00 $ per line based on the dollar and may vary as per dollar fluctuation. 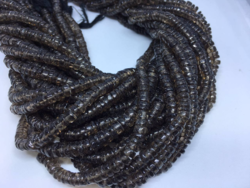 Natural garnet heishi tyre shaped beads,4-5mm,16 inches strand Products Price: 11.50 $ per line 'Based on the dollar and may vary as per dollar fluctuation.